Welcome to Geology and Environmental Geosciences! We are the gateway major to a wide range of careers; see our page about our alumni to see where our graduates have gone on to do amazing things. We have a faculty of distinguished and diverse interests in teaching and research. With over 125 majors and 15 faculty, we are able to offer a wide selection of courses and yet we thrive on directing individual students or small groups on independent research. The department is also host of the Mace Brown Museum of Natural History, with an impressive set of collections in large donated by our founding benefactor, Mace Brown. We also are home to the South Carolina Space Grant Consortium, the Lowcountry Hazards Center, the South Carolina Earthquake Education and Preparedness Program (SCEEP), Project Oceanica, and the Santee Cooper Geographical Information Systems Lab. 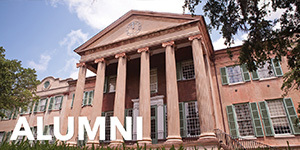 Our large network of alumni and collaborators are engaged in supporting our mission: to serve the College of Charleston student body and greater community by providing a superior education in the geosciences while engaging in world-class research. Please contact me or stop by to learn more about our programs. 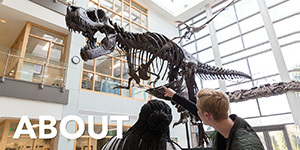 The Department of Geology and Environmental Geosciences offers a geology major, a geology minor, and a broad array of topical and interdisciplinary elective courses in the geosciences. Students who complete a Bachelor of Science or Bachelor of Arts degree in geology can take a variety of class options that will prepare them for a wide variety of potential career opportunities; such as, environmental geological consulting or regulation, state and federal geological surveys, energy resources, mineral resources, marine geology, space science, hazards investigation, and land-use planning; as well as preparation for advanced graduate education in all geological disciplines. 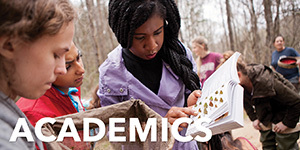 Although primarily undergraduate in nature, the Department of Geology and Environmental Geosciences also provides graduate level courses, and participates in the Master of Science in Environmental Studies program and the M.Ed. 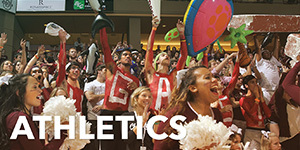 in Science and Mathematics wherein students can earn graduate degrees. 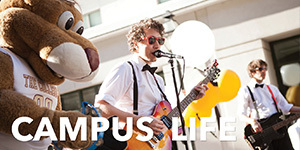 Check out the Guide to Becoming a Major or Minor Here. If you have any questions about the department or classes, Contact Us (by phone, email, or dropping by). We are in room 224 of the School of Sciences and Mathematics Building at 202 Calhoun Street. Overall, geology encompasses the investigation of Earth's composition, structure, mineral and energy resources, tectonic behaviors (earthquakes, volcanoes,tsunamis, crustal motion, and mountain building), and surface processes (weathering, erosion, river systems, groundwater, glaciers, ocean processes,and atmospheric processes); as well as the study of Earth history and the evolution life on Earth. Geology also includes the scientific investigation of Earth’s Moon, and the other planets and moons of the Solar System. Geology encompasses the study of physics, biology (past and present), and chemistry of Earth; and its interdisciplinary and historical nature sets it apart from the other sciences. 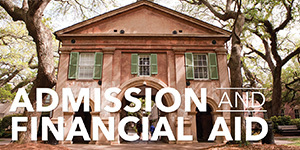 At the College of Charleston, students have the opportunity to work closely with faculty of diverse academic backgrounds and varied professional expertise that they use to actively participate in geoscience research.